The properties of our recycled plastic products – chemical inertness, strength, durability, flexibility and resistance to the elements – make them ideal for any number of applications in mining and industry. The APR dunnage & bearer range has been developed from our customer requests to have a more environmental and sustainable alternative. Marine environments such as wharfs, boardwalks, jetties, pontoons and walkways require a substantial amount of lumber and metal to construct. APR offers alternative sustainable solutions. Councils, government departments and authorities are constantly searching for new and innovative projects that will enhance their green image. APR is the first choice when it comes to sustainable solutions. APR offer an Australian made product that is ideal for the Australian landscape and virtually maintenance free. The grass isn’t always greener on the other side… or is it? With a WPC bridge you can find out! APR recently worked with St Ignatius’ College, a prominent South Australian college, to construct a bridge that allowed for pedestrians and vehicles to cross over a creek into the school grounds. The bridge design was unique to St Ignatius’ College and involved planning and designing from our engineering teams. The result was a functional and fantastic looking bridge that met the needs of the college as well as council specifications. This is a great achievement for St Ignatius’ College – utilising recycled products and Australian manufacturing to create a bridge that can be used by all. 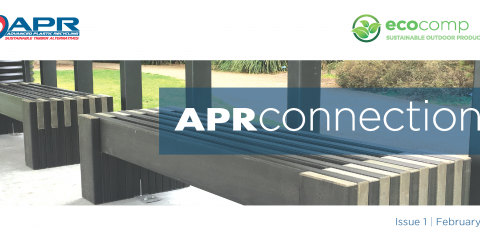 APR custom design bridges to suit your needs, landscape and specifications. We can construct and install on-site or build it in our factory and deliver it to you. a unique aesthetic appeal and superior performance. Properties such as chemical inertness, strength, durability, flexibility and resistance to the elements, make our recycled wood plastic products ideal for any number of scenarios. The APR dunnage & bearer range was specifically developed from our customer requests to have a more environmental and sustainable alternative. Advanced Plastic Recycling’s wood plastic composite products are stronger, safer and more durable making them the ideal choice for public infrastructure, parks and garden applications. APR continues to invest significantly into research and development placing them at industry’s forefront. data acquisition (SCADA) system to monitor and support quality control to AS/NZS ISO 9001:2016 standards. Consumers, businesses, industries, councils and governments alike are all now searching for ways to lessen their environmental impact, shrink their energy consumption footprints and increase the use of more sustainable products and resources. Help reduce waste matter going into landfill. Substitute for other products that use significant amount of natural resources. Limited use of precious natural resources used in production. Manufacturing process utilises very low energy and almost zero emission. Product is aesthetic appealing and does not leach any chemicals into the ground. Easy to install, low maintenance, organic look & feel of timber, weather resilient and durable. Reusing recycled plastic resources rather than creating and consuming more. 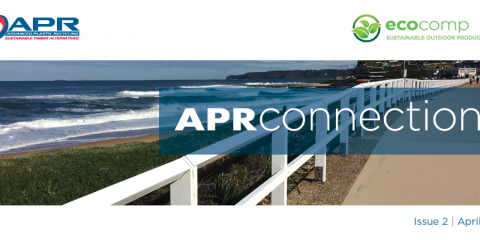 APRconnections Issue 3 | June 2017 EOFY is upon us. It has been a busy year and APR profiles continue to travel far and wide. 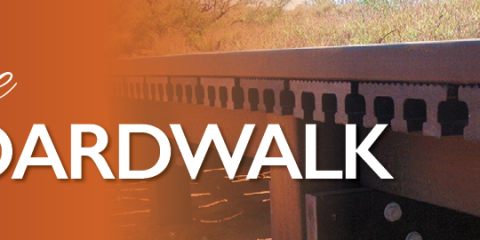 Take a seat and grab a warm “cuppa” and read abou ..
On the BOARDWALK June 2017 Ian Donald Blair Walkway is a 1,180m long boardwalk meandering through the dunes parallel to the Indian Ocean in the town site of Onslow around 1,400km north of Perth. Or ..
APRconnections Issue 2 | April 2017 Out with the old and in with the new, APR has just the thing to help you store the old and keep it tidy for the short term. 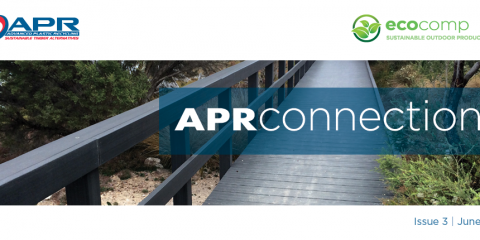 Keep an eye out for APR’s ..
APRconnections Issue 1 | February 2017 Grab a cuppa tea or coffee and 5 mins to linger a little longer while you ‘connect with APR’! Read about APR’s latest product releases and ..